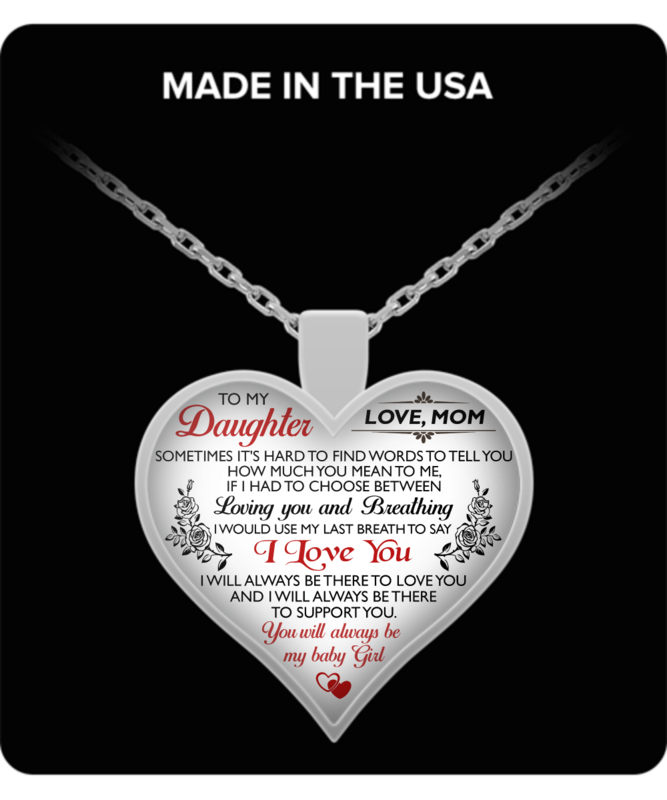 This necklace said exactly what I wanted to say to my daughter. And, I have always called her “baby girl,” so that was an extra bonus. Her only comment was that she said it was very big! i absolutely love the necklace. The design was beautiful!! I was very pleased with my necklace that I ordered. I'm sure my daughter will love it too. Got this after another attempt. Had send directly to my daughter, she loved and really enjoyed the verse.